This page is for the graduates of our Overcome Your Fear of Heights courses. If you have landed on this page by accident and you wish to overcome your fear of heights learn more about how we can help you here. Fear of heights follow up weekend in the Lake District. At the top of Halls Fell Ridge. Join us 1:1 for another day working at height. On this day we invest in the successes from the first course and look to develop your desire to be at height. The course is designed to differentiate for different people with different needs. If you want to join us with a friend then that also may be possible. Contact us with your preferred date(s) that suit you and we’ll get back to you asap. On this day’s walk you will get to test out your new-found confidence with a very pleasant walk along a beautiful and very scenic skyline. This great walk may offer a few mild challenges for those of you that have had a fear of heights in the past. All dates are Fridays that occur right before our free walking weekends – so feel free to combine both! Fear of heights follow up challenge – Walks on the Wild Side. Descending Chrome Hill. 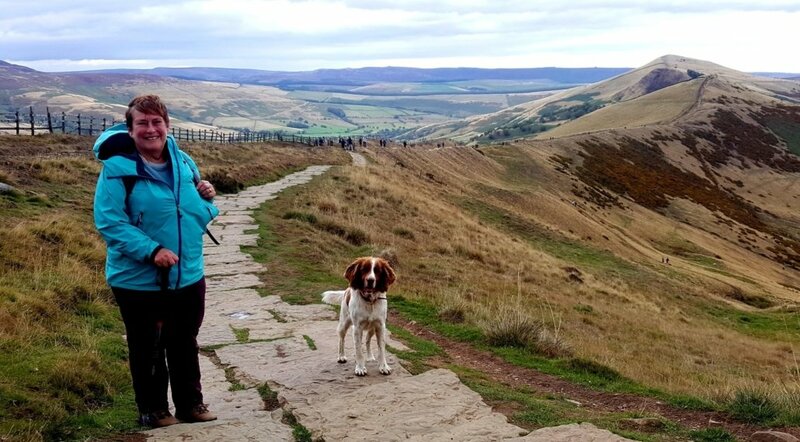 On these two days we bring to you two great Peak District walks that will offer us a few moments of challenge within two great walks. On the first day we will climb to the plateau of Kinder Scout via a short scramble up Crowden Clough. The second day’s walk leads us over two wonderful White Peak hills – Chrome Hill and Parkhouse Hill. Step forth in pursuit of England’s third highest peak, Helvellyn at 949m via the airy ridge of Striding Edge. Striding Edge can be as pleasant or as scary as you make it – perfect for the novice or the seasoned scrambler. On Sunday we’ll be driving north to Blencathra where the infamous Sharp Edge awaits. Saturday’s guided scrambling leads us to the summit of Snowdon via the wonderful Y Gribin Ridge. We may start the day with the masses, but we’ll leave them to go on their way from the Miners’ Path before meeting them once more on the mountain summit. We’ll descend via Snowdon’s little known south ridge making this the perfect day. Sunday’s scrambling leads us up the brilliant Llech Du Spur. When looking for peace and solitude with a generous dollop of excitement this is the place to come. Can you climb 10 routes in 10Km inside just 10 hours? Here’s your chance to try!? 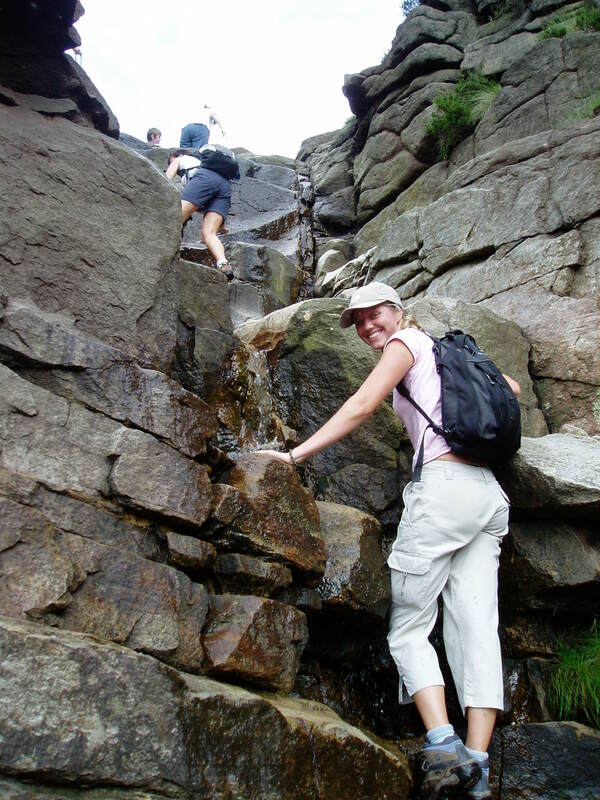 Join us for this excellent Peak District challenge and mini-adventure. No previous experience is necessary. We will provide all the kit, expertise and plenty of encouragement! 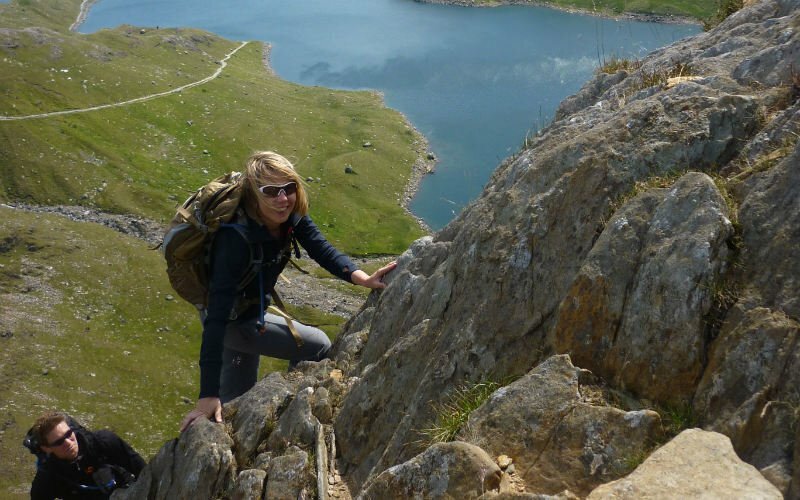 High Peak Radio interview and course review with Lissa Cook – fear of height anxiety beaten in just two days. 1. Start breathing – stop holding your breath (you will be). Take TEN deep breaths. Count them in and out. 2. Distract your brain, start forcing it to think. You really really must do this. For example try recalling your mobile phone number in reverse. This will help to engage your your rational thinking cortex, and this will begin to calm you down. 3. Visualise someone you know (or James Bond for me) who is really confident climbing or with heights – pretend you are them. (I hum the James Bond tune too). 4. Visualise yourself at the top or at a safe place and see how much nicer that will be for you. 5. Keep that cortex working – tell yourself your mobile phone number in reverse again. 6. Thinking head now engaged – start thinking and looking. Find placements for your feet, and your hands will take care of themselves. 7. Once out of immediate trouble, take the time then to plan each step to the next safe platform. Still not sure or a little bit worried about doing the course? It’s totally natural and fine to feel that way. Email will@will4adventure.com or feel free to call Will Legon on 07791 860 163 with any questions or concerns; we are always happy to help.